please click the icon above to listen to my BBC Radio Oxford reviews, broadcast 7th April. 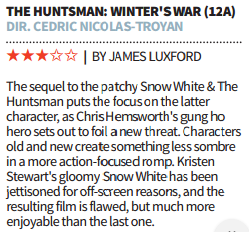 I review the films “The Huntsman: Winter’s War”, “Midnight Special” and “The Man Who Knew Infinity”. We also look at my home entertainment picks and events in the Oxfordshire area. 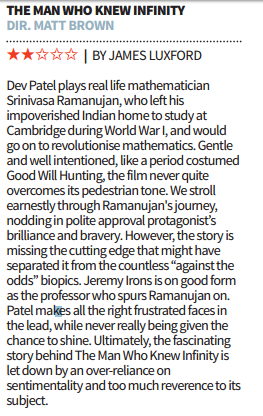 Please click the images for my review of “Boulevard”, “The Huntsman: Winter’s War”, “The Man Who Knew Infinity” and “Midnight Special” for City AM, published 8th April. 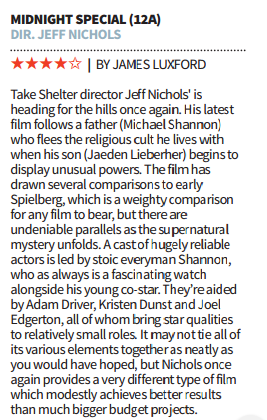 The online version of my “Boulevard” review can be read here.